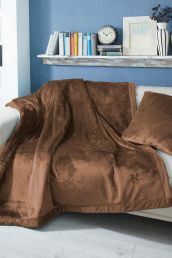 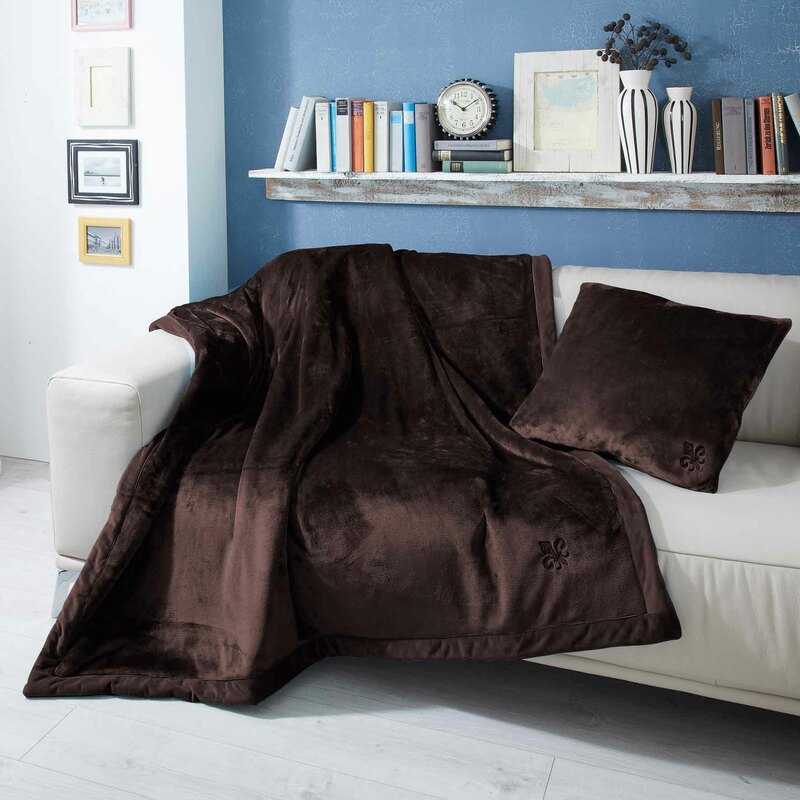 This sophisticated blanket is made of two different fabric materials separated by a soft fleece layer. 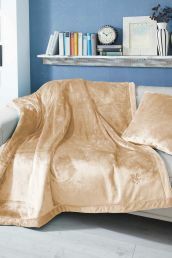 It was assembled into a classic two-sided blanket. 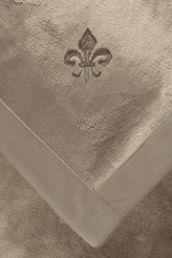 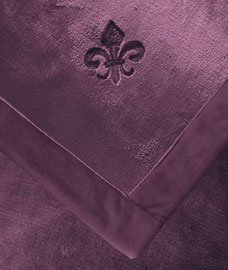 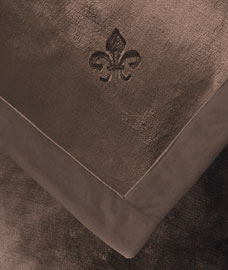 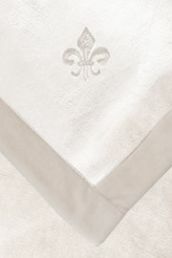 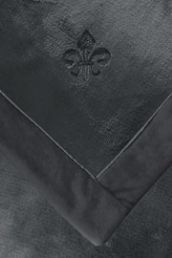 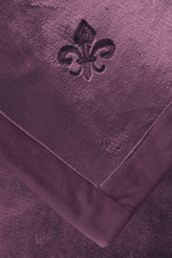 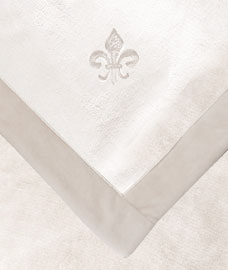 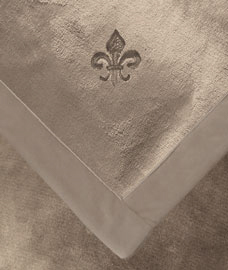 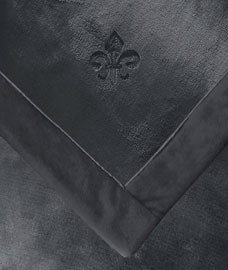 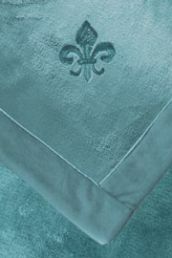 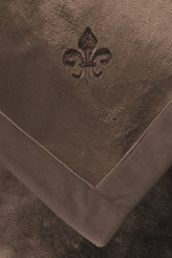 It is decorated with exclusive embroidery in the motif of a Bourbon lily, the symbol of the French kings. This cuddly blanket is timelessly elegant, very warm, skin-compatible and breathable. 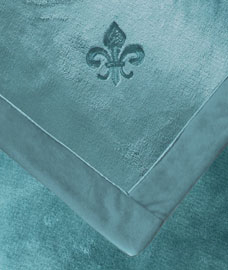 This royal two-sided blanket is supplemented with pillows matching in colour and produced in the same unique quality.